How Sound Can Change Your Life! Now, for the first time, healing sounds pioneer Jonathan Goldman tells us about shifting frequencies—how to use sound and other modalities to change vibrational patterns for both personal and planetary healing and transformation. 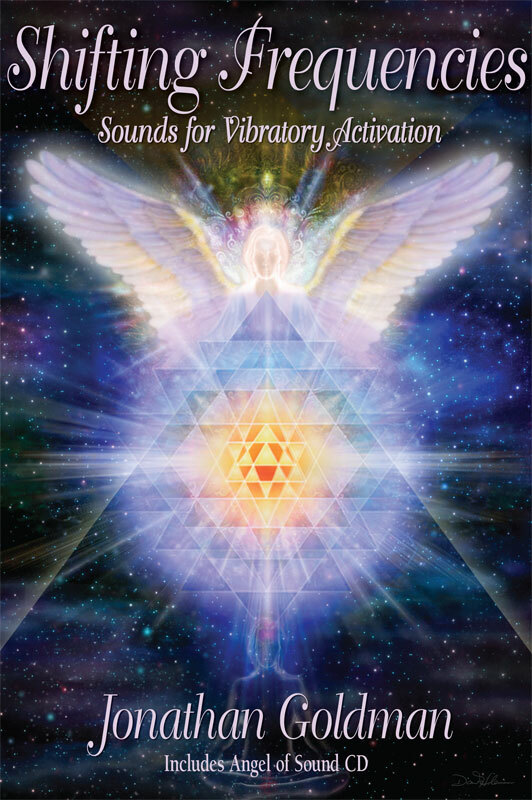 Through his consciousness connection to Shamael, Angel of Sound, Jonathan shares his extraordinary scientific and spiritual knowledge and insights, providing information, instructions and techniques on using sound, light, color, visualization, and sacred geometry to experience shifting frequencies. Explore the use of sound in ways you never imagined for healing and transformation. Discover harmonics as a key to opening to higher levels of consciousness. Learn about the angel chakra and what sounds may be used to activate this new energy center. Find out how to transmute imbalanced vibrations using your own sounds! Experience the secrets of crystal singing. Understand the importance of compassion in achieving ascension. The material in this book is both timely and vital for health and spiritual evolution. Submitted by Inge: Incline Village, Nevada on Fri, 03/30/2001 - 12:45. I love this book. It contains a great overview of many subjects of interest to me. As a long-time student of cosmic law and an avid reader of similar books, I was very impressed by the scope of the coverage. I'm also a music lover, and the possibilities of relationships between sound, light and healing has always been a special love of mine. I'm giving this book to several young talented music students. Also to some other friends who want to learn about crystals and the energy in chakras. Thanks to the author for this book (my copy stays in my bookcase! ).